The St. Margaret's Dedication Festival 2014. 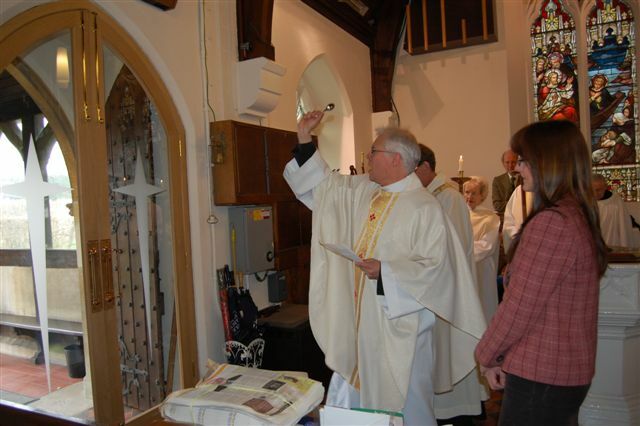 The 152nd anniversary of the Dedication of St Margaret's Church took place on Wednesday March 12th. 2014. 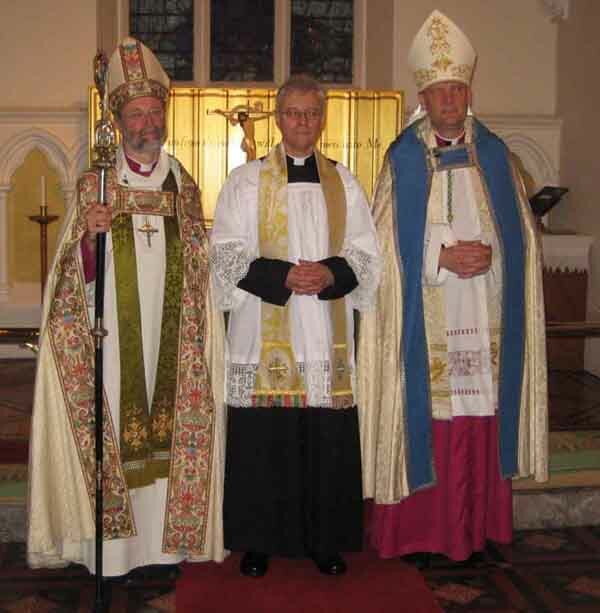 A Confirmation Service was conducted on March 23rd 2014 by the Bishop of Ebbsfleet. Carol Lovelock and Jean Strachan. 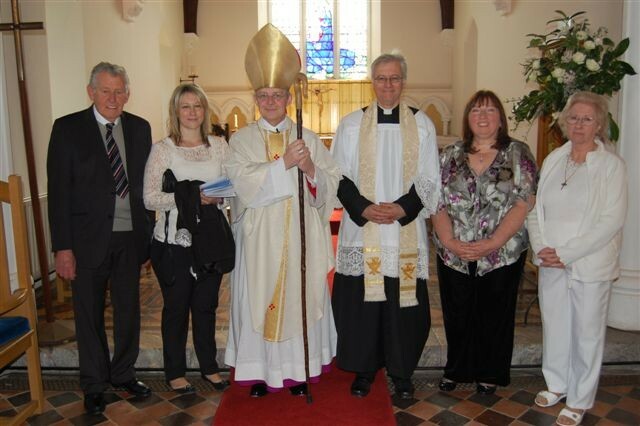 A Confirmation service was held on Sunday April 21st 2013 with Bishop Lindsay Urwin from Walsingham. Our picture shows the candidates Len, Kim, Sue and Jennie with Bishop Lindsay and Father Andrew after the service. in St. Margaret's Church on July 12th 2012.
and of course parishioners of St. Margaret's. St Margaret's 150 year anniversary. St Margaret's celebrated 150 years on March 12th. 2012. The church was consecrated on March 12th. 1862 by Samuel Wilberforce, Bishop of Oxford. It had been built in the previous 10 months at a cost of £2,645.3s.7½d. Before 1862, Iver Heath had been part of the ancient parish of St. Peter, Iver. With a growing population and the distance from St Peter's church, there was an increasing need for a church in Iver Heath and St Margaret's was built in 1861 - 1862. The new church was assigned a District Chapelry by Queen Victoria on July 19th. 1862. In November 1862 the first priest, George Elton, was appointed and in 1867 he was made the Rector. There have been 9 rectors since 1862, our present Rector was inducted on July 12th, 2012. There were special services and a walk from St Peter's Iver to celebrate the 150 years of St. Margaret's on the actual anniversary of the consecration and more celebrations took place during the Patronal Festival weekend in July. St. Margarets Day is July 21st. 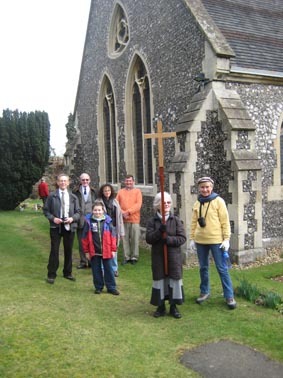 St Margaret's Iver Heath took place on Saturday March 10th 2012. The group of St Peter's and St Margarets' members leaving St Peter's Iver after prayers by the curate of Iver, Rev. George Howard giving thanks for the forsight of Rev. William Sparrow Ward who as Vicar of Iver in the mid 19th century gave vigorous support to the building of a new church for Iver Heath. 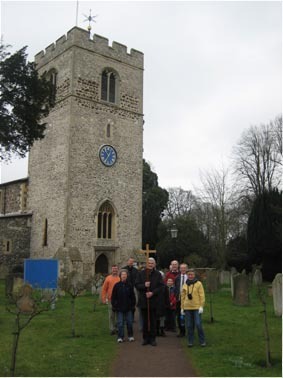 Two miles and 50 minutes later the group arrived at St. Margaret's where a thanksgiving service was held. The bible and prayer book used at the service were those presented to St Margaret's in 1862. Members of the congregation were able to view items of historical interest, photographs and hand crafts that were on display in the church before enjoying a light lunch in the Parish Centre. 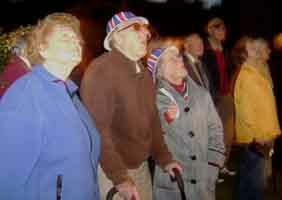 A beacon was lit on St. Margaret's church tower for the Queen's Diamond Jubilee and was officialy registered on the list of over 4,200 beacons lit worldwide to celebrate the event. 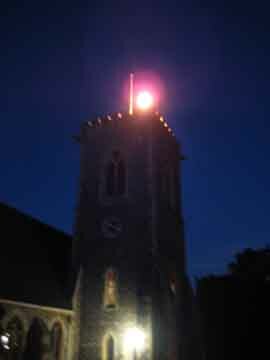 The beacon was lit at 10.20pm on Monday June 4th 2012, as were all other beacons on churches in the UK. The lighting was preceeded by a social evening and royal quiz in the Parish Centre. For a video about beacons in Buckinghamshire including St. Margaret's click here.